I’m a historian of the imperial and global past, with a broad interest in the movements of peoples, practices and ideas. My research brings together a particular interest in the histories of imperialism, nomadic societies and desert environments in the 19th, 20th and 21st centuries. My first book, British Imperialism and ‘The Tribal Question’: Desert Administration and Nomadic Societies in the Middle East, 1919-1936, was published by Oxford University Press in 2015. It tells the story of what happened when the British Empire and Bedouin communities met on the desert frontiers between the Mediterranean Sea and the Persian Gulf, as British officials, Bedouin shaykhs, and nationalist politicians jostled to influence desert affairs. My second book, The Ghost of Namamugi (2019), is an exploration of mercantile ambition and imperial power in Shanghai and Yokohama in the mid-nineteenth century. It examines the remarkable life and death of Charles Lenox Richardson, a young Shanghai merchant whose killing became a Victorian "outrage" and led to the destruction, by the Royal Navy, of a Japanese city. 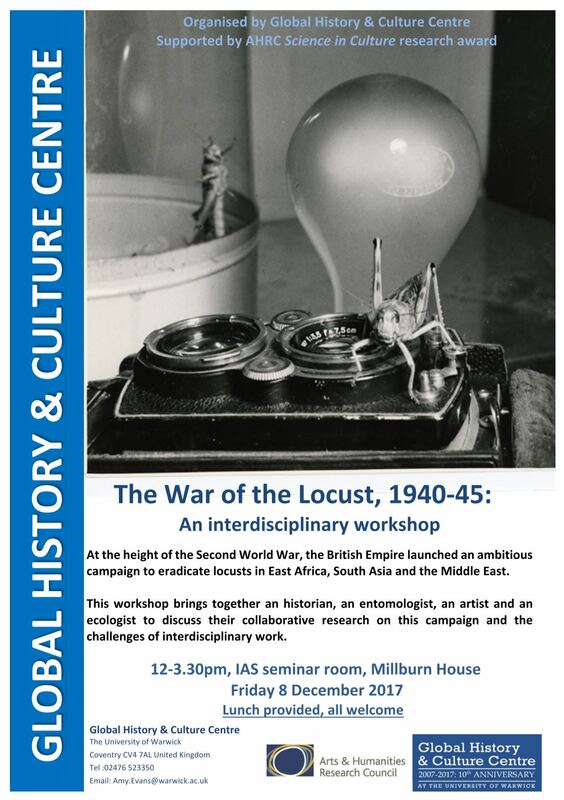 I am the Principal Investigator on an interdisciplinary and collaborative AHRC Science in Culture project on the international campaign against the desert locust in the twentieth-century. Between 2015-18 I held an AHRC Leadership Fellowship to explore how the world’s desert environments became sites of heightened contest between nomads, nations and empires in the modern world. You can read more about both of these projects here. I’m interested in concepts of frontiers and borderlands in general, and have also written about maritime, mercantile and evangelical networks in the nineteenth-century Pacific. My teaching interests include the histories of imperialism and globalisation, the history of the British Empire, Middle Eastern history, Anglo-Japanese relations, and histories of migrations and mobility; I welcome enquiries from prospective research students in these fields. Some of my publications are available online at www.warwick.academia.edu/RobertFletcher and @rsgfletcher. I grew up in Colchester, Essex and graduated from Magdalen College, Oxford with a BA in Modern History and an MSt in Imperial and Commonwealth History. Between 2005 and 2007 I worked in Tokushima, Japan, before returning to Magdalen to read for a D.Phil. I worked at the Universities of Oxford and Exeter before coming to Warwick in 2015 as Associate Professor of Britain and Empire. 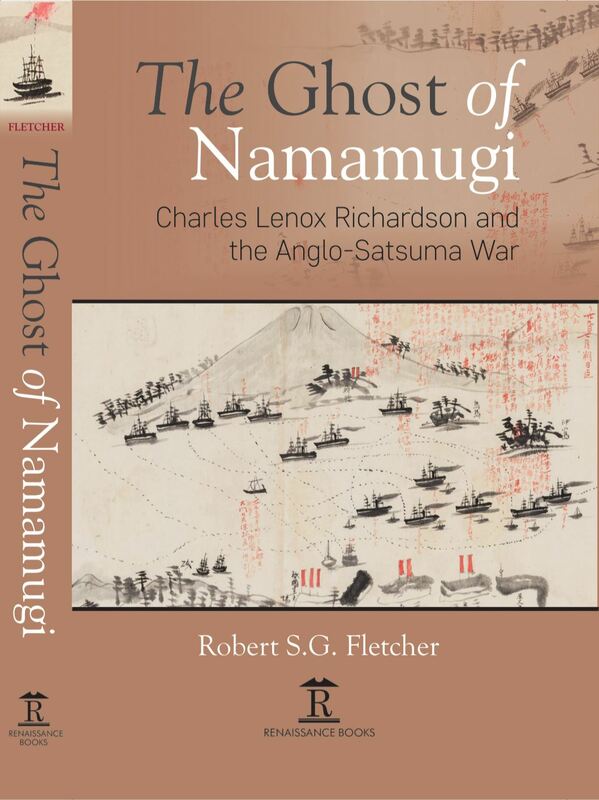 The Ghost of Namamugi: Charles Lenox Richardson and the Anglo-Satsuma War (Renaissance, 2019). '“Now You See What We Are Up Against”: Bedouins and Borderlands in the Photography of John Bagot Glubb', in S. Das, L. Schmid and D. Steinbach (eds. ), Colonialism, Photography and War (Bloomsbury: forthcoming). 'Decolonization and the Arid World', in M. Thomas and A. Thompson (eds. ), The Oxford Handbook of the Ends of Empire (Oxford University Press, 2018). 'The Locust, the Empire and the Museum', evolve, Vol. 31 (2017), pp. 46-53. 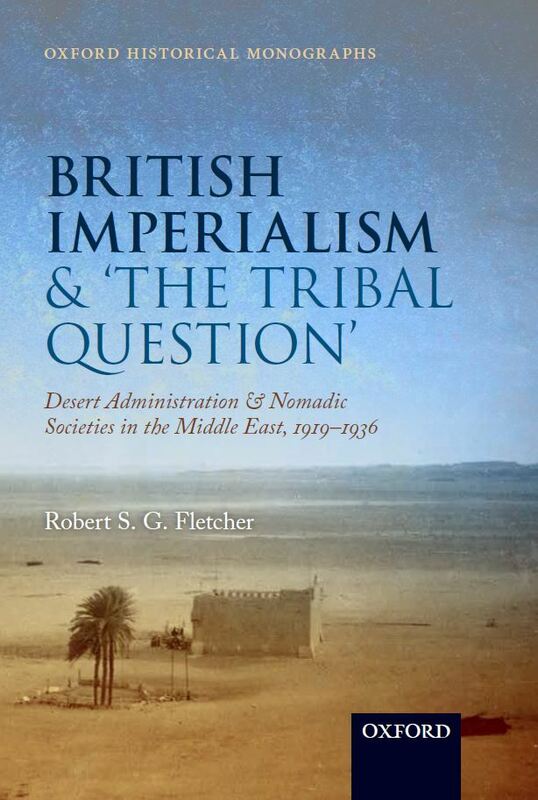 British Imperialism and ‘The Tribal Question’: Desert Administration and Nomadic Societies in the Middle East, 1919-1936 (Oxford University Press, 2015). 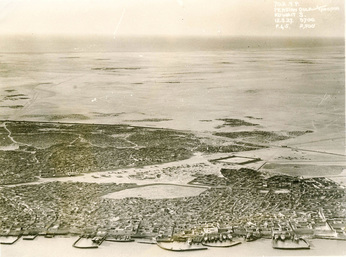 Journal of Historical Geography, Vol. 50 (Oct. 2015), pp. 51-65. 'The ʿAmārāt, their Sheikh, and the Colonial State: Patronage and Politics in a Partitioned Middle East', Journal of the Economic and Social History of the Orient (Vol. 58, No. 1-2 (May), 2015). Past and Present, Vol. 220, No. 1 (Aug., 2013), pp. 185-215. The English Historical Review, Vol. 125, No. 514 (June, 2010), pp. 599-641.